This spring has seen some high-profile athletes come out, but they aren’t the only ones. With numerous reports about the American public being ready for a gay or lesbian professional athlete, they finally got a male one. In late April, Jason Collins, an NBA free agent who played with both the Boston Celtics and the Washington Wizards this past season, came out in Sports Illustrated. He is spoken of as the first out professional male athlete. In the world of hyper-masculine male sports, this is seen as a huge achievement, and that he will help make popular male-dominated sports more accepting and open of gay athletes. Earlier in April, Alan Gendreau, a year-out kicker from the southern Christian college Middle Tennessee State, came out and announced his plans for kicking in the National Football League (NFL). A month later, Jallen Messersmith came out, and is believed to be the first openly gay player in men’s college basketball. He’s a shot-blocking specialist form Benedictine College, and his reasoning was similar to Collins and Gendreau: to make other gay athletes feel comfortable with themselves and that they are not alone in their sports. However ground-breaking both of these men’s public coming out stories are the men seem to be a bit behind the women in American sports. Lesbians have been out and about in pro sports for more than thirty years; they just aren’t as popular or as commended as the men are, as Buzzfeed illustrated this week. Tennis had both Martina Navratilova and Billie Jean King in 1981, Golf had Muffin Spencer-Devlin in 1996, Patty Sheehan in 1998, and Rosie Jones in 2004. The Women’s National Basketball Association (WNBA) has Sue Wicks in 2002, Michele Van Gorp in 2004, Sheryl Swoopes in 2005, and three teammates from the Minnesota Lynx in 2012: Amber Harris, Jessica Adair, and Seimone Augustus. Volleyball has Stacey Sykora, and soccer has Megan Rapinoe and Lori Lindsey, all in 2012. This year the WNBA added a new out member to their list who came out just weeks before Collins: Brittney Griner. 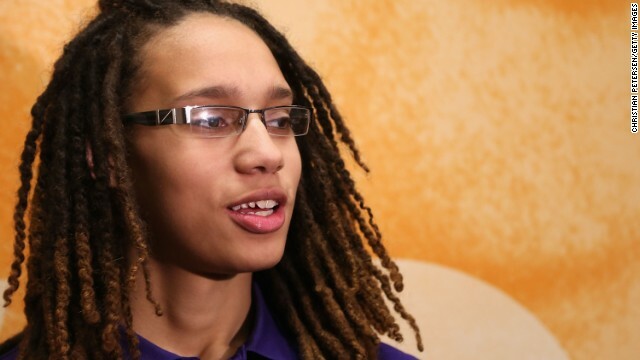 She’s currently playing for the Phoenix Mercury, was the WNBA number one pick for 2013, and recently turned down the Harlem Globetrotters, deciding to focus on her professional career instead. She is considered to be the new face of the WNBA, and she is expected to have the chance to transform the WNBA and pull it out of its slump. Bisexual women can look toward Jessica Aguilar, a mixed martial arts fighter who came out last year, and although an unincorporated territory of the U.S., has Orlando Cruz, a gay boxer who has been out since last year. Some guess that the reasoning for the prevalence of women’s coming out is that because of the more familial attitude women have in athletics teams. Women already have to fight to be recognized as “true” athletes, and so they foster support for each other, and create a very welcoming space for all players. Both sexes have to contend with gender stigmas and stereotypes in their sports, because being too “masculine” or “feminine” isn’t acceptable. Any athlete coming out is a huge step forward, especially for young athletes. With the amount of athletes coming out so recently, we’re seeing professional sports change and the attitudes of the American public evolving in all areas of our culture. HELP GET THE WORD OUT. Global equal rights rally/flashmob. Its called We Are With You. Couldn’t find contact info, sorry.